Welcome to the Sixties, friends. This is an era that gives me total anxiety. For being the birth of the whole “peace & love” movement, it’s an incredibly violent decade. War and anti-war riots, violent sexual diseases and rampant drug use, Helter Skelter, the JFK assassination, etc. That’s A LOT to take in a 10 year span. Plus the violence associated with (and mostly against) the Civil Rights Movement, second-wave feminism, and the Gay Rights Movement. There is NO part of me that wishes I was alive and active in the 60s. Flower child, I am not. On the first Tuesday of the month, February through November, we’re highlighting books & films from/about specific eras that we recommend! (Television shows, too, sometimes!) There’s no commitment or link-up during those months on your end, but in December we’ll host a recap/link-up for the entire year! Lots of YA and middle school literature here. But also some of the best books ever. One of my favorite books ever is The Phantom Tollbooth (Norton Juster). It’s witty and adorable and chocked full of puns. I love it. It’s a good lesson about how life is only as dull as you perceive it. One night, probably during a thunderstorm, I was laying on the couch with the dogs and happened upon The Night of the Iguana on TCM. It’s a strange, strange movie, full of vice and madness (originally a play by Tennessee Williams) but it stuck with me. (1962) I love the X-Men movie franchise and X-Men: First Class is my favorite film. It reveals a lot about some of the mutants’ pasts, it has most of my favorite characters, and it has all my favorite X-Men actors (although I wish we saw more of Jackman- there’s only a short scene). (1964) One of K’s favorite movies EVER is That Thing You Do. Probably because the main character is a charismatic drummer and the whole thing is a little goofy. Plus it has Tom Hanks and Liv Tyler. I will definitely be mentioning this podcast in future RSFB posts, too. I listen to it on Spotify. Back when it was on TV in 2015, I loved The Astronaut Wives’ Club (abc). The stories and acting and history drew me right in! It’s based on the true book by Lilly Koppel, which I plan to read soon! I still can’t figure out why Pan Am was canceled… It has SO many big names and I loved the stories! Admittedly, I haven’t seen the last few episodes in the series but I plan to. This show starred Christina Ricci, Margot Robbie, and Michael Mosley to name a few. I’ve tried many time to read The Help but it’s always a DNF. I haven’t given up yet, though. When these film trailers were released I wanted to see them, but then life got busy. I’m still hoping to watch The Man From U.N.C.L.E., Big Eyes, and definitely Hidden Figures someday! The mini-series called The Kennedys caught my attention when it was first released and I remember watching the first episode, but then I got distracted. I’d like to go back and watch the whole thing soon! Alright, that’s it from me today 🙂 You’ll find more 1960s books, movies, and TV shows over in Alexandra‘s corner of the internet!! The 1970s saw political scandal, the rise of feminism, and environmentalism and anti-war protests. It was a weird time for the United States and the world. We’ll be sharing our favorite movies, books, and television shows that encapsulate the strange and groovy 70s. The Kennedys was so fascinating! I remember watching the first episode, then getting off track. I bet that’d be a fun thesis to work on!! Give me The Outsiders, then drop me back in the ‘80s, where the real magic happened. Best of everything, before the Information Superhighway came and snatched away life as we knew it. Goodbye, Saturday Morning Cartoons. Goodbye, playing outside until the street lights came on. Goodbye, economy. Goodbye, Hills and ToysRUs! What’s left? Love this post! So fun. I love That Thing You do! Jimmy and Guy are both so dreamy. Tom Hanks is one of my favorite actors. The 60s were a fascinating decade, and it’s amazing how we seem to be still dealing with the same social injustices in current time. I really enjoyed the Astronaut’s Wives Club miniseries too. Those Kennedys sure were weasels. 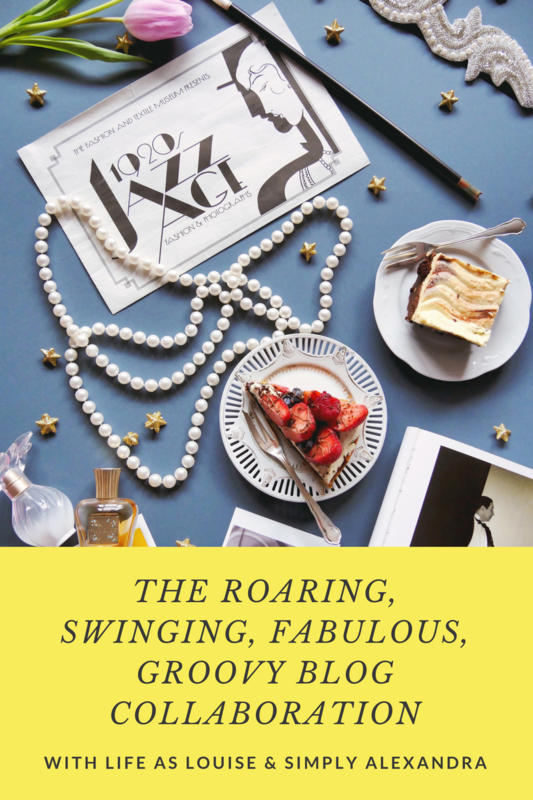 Can’t wait to read your other posts and get in on the link up next month! I love all of Tom Hanks’ “old movies”- the ones where he plays a character from the past. That Thing You Do, A League of Their Own… So good! The 60s are definitely fascinating and I love reading about them, I would just NEVER pick that as a decade to live. Haha. It’s crazy that we’re still dealing with similar social issues. Yeah, I’m glad I wasn’t alive in the 60’s but they did release some good books. The Outsiders is one of my all-time favorites!! I still really want to see the movie Big Eyes as well. I think it’s a fascinating decade. SO many crazy stories and stuff. I just would never ever ever choose to live in that decade. So much craziness!! 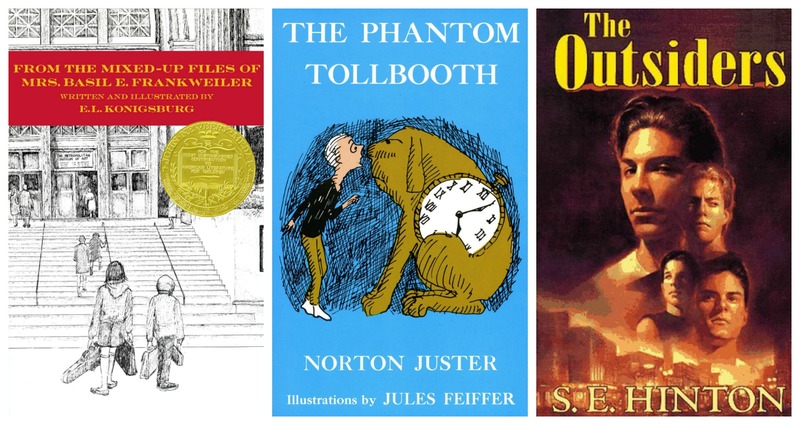 Oh The Phantom Tollbooth… what a classic! I don’t think I would have liked the 60s either, ha. I just love that story! It’s slow movie and nothing like teen books from today, but such a classic! So do you just not like The Help? I really loved that book. Did you watch the movie? Haha! Sorry… You’re right, though. Just thinking about the title puts the song in my head! I haven’t seen the movie The Help because I wanted to wait until I’d read the book… but I just can’t get through the book. I will someday. I haven’t given up just yet! Oooh fun! I need to re-read The Mixed Up Files, and re-watch Secondhand Lions.That movie is so good and it’s been way too long since I’ve seen it. Spoiler… I think the astronaut wives show is going to be way better than the book. The writing is irking me. Pan Am sounds good… gosh! I didn’t even know about it. So many good things to read and watch. Both that book and that movie are SO good. I love love love Secondhand Lions ❤ The Astronaut Wives Club is SUCH a good show. I loved it the entire time it was on! Pan Am was cancelled way. too. soon. I loved that show. I still haven't seen the last half of the season, though, so at least I have more to watch. Bummer about TAWC book! I have it as a category choice for Erin's challenge!